No matter where the Rebel Alliance establishes one of its bases, it must always be prepared for an Imperial attack. Rebel troopers are always willing to put themselves in harms way, but sometimes foot soldiers arent enough to stem the tide of the Imperial legions and their heavy walkers. These times call for something with a little bit more powersomething like the 1.4 FD Laser Cannon. 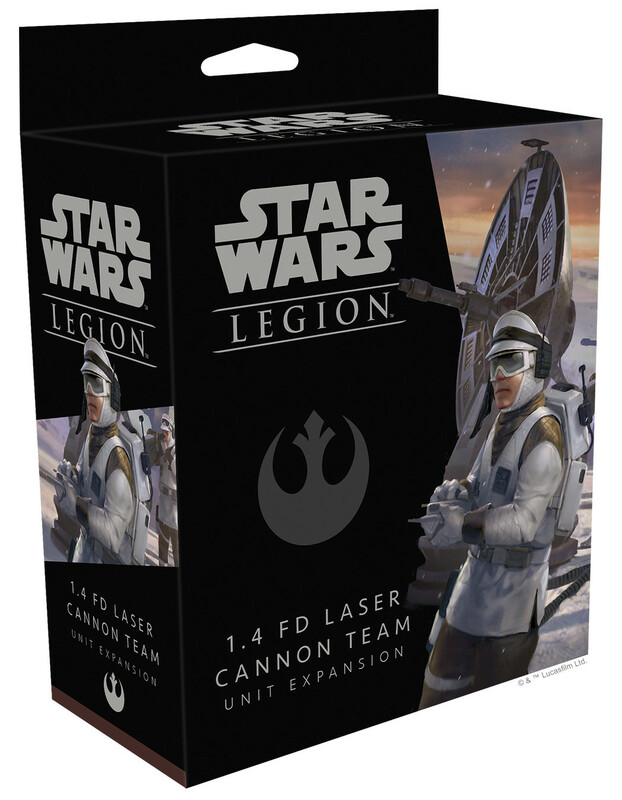 The 1.4 FD Laser Cannon Team Unit Expansion includes a single 1.4 FD laser cannon team miniature that you can field as a support unit in your Rebel army. Along with the miniature, youll find the associated unit card and three upgrade cards that invite you to further modify your cannons generator, making it an even more stalwart line of defense against the forces of the Empire.